Professional pressure washing service in Richmond, TX.At Pressure Washing Richmond we take great pride in the fact that we have been keeping Richmond clean since 2005! We offer both residential and commercial power washing as well as roof cleaning and exterior window cleaning for a complete clean every time! Truview Window Cleaning offers exceptional service in residential window cleaning. We use the latest in window cleaning technology including our eco-friendly, three step water filtration system. We are fully committed to making your windows look so clean you'll forget they are there! Because "We Clean With Pride", you'll "clearly see" the difference. "We clean With Pride" is more than just our motto; it is a promise to our customers that we will provide the absolute best service. We take great pride in our work because we know that your house is a lot more than that, it is your home, your sanctuary so to speak. We live to see the look of amazement on a homeowners face when they see the difference that clean windows make on the look and ambiance of their home. 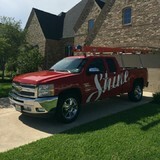 Welcome to Shine Window Care and Holiday Lighting; the full service Window Cleaning Company that West Houston, Texas home and business owners choose for quality Window Cleaning, Pressure Washing, Gutter Cleaning, Restoration and Event Lighting. We are licensed, insured and certified in all areas of our trade. We have many satisfied customers that attest to our great customer service, pricing and quality of work. References are available upon request. All employees are courteous, uniformed and considerate of your property and belongings. We offer Residential and Commercial Cleaning of: Windows, Screens, Glass, Skylights, Chandeliers, Mirrors, Ceiling Fans, Porch Lights, Coach Lights, Gutters, Downspouts, Roofs, Siding, Driveways and Walkways, Patios, Decks, Pool Decks, Concrete, Vinyl, Brick etc as well as other services such as Gutter Whitening and Holiday / Event Lighting. Call us today to talk about your next cleaning, restoration or lighting project! 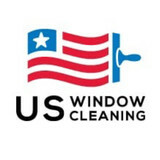 US Window Cleaning was formed to provide the best, most reliable window cleaning, power washing, and gutter cleaning services possible to the Houston area. We strive every day to deliver excellent results, and dazzle our clients. Being Houston owned and operated, we keep Texas dollars in Texas, and are proud members of this community! Founded in 2013, US Window Cleaning provides superior service for window washing, pressure washing, and gutter cleaning services at the lowest prices in Houston! We take care to ensure your home is in better shape when we leave than when we arrive. Fully insured and certified, we handle residential services and commercial services up to 4 stories. Singly owned and operated by Kevin Galloway, you can speak to the owner directly, rather than a corporate office in another state. Based in Northwest Houston. Kevin spent 17 years as an executive and owner in the security industry before retiring from there to start US Window Cleaning. 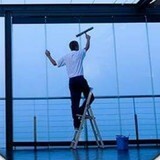 After seeing a professional window cleaner while on vacation, Kevin decided that this would be his 2nd career. Having been a US Army MP and security specialist, it was a big change! But one for the better. In just a few short months, US has built a loyal customer base and completed more than 200 jobs, both residential and commercial. This company provides window cleaning for Montgomery, Conroe, Walden and The Woodlands. Window Genie is Katy’s leader in home services. We specialize in window cleaning, window tinting, pressure washing, gutter cleaning and more. Geek Window Cleaning specializes in residential window cleaning and pressure washing for homes up to 4 stories high. Whether you are wanting a complete interior/exterior cleaning of the windows or looking to have just the exterior done Geek Window Cleaning has you covered. With standard pricing for all homes Geek Window Cleaning is able to give you a quote right over the phone in as little as 90 seconds. If you need to have the home, driveway or even the area around your pool pressure washed the team at Geek Window Cleaning will be able to get your home or concrete looking brand new. 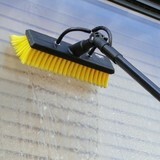 We are a mobile pressure washing and window cleaning company located in northwest Houston Texas. We offer pressure washing and window cleaning services. With a degree in Chemical Engineering, I have been able to understand the chemical composition of elements that deprive my clients of spotless windows. I use latest technology that eliminates spots and streaks while working in the safest possible manner. We offer 7 days service and are ready to deploy in anyway and at almost anytime withoutbprior notice. My name is Arman and I am the proud owner of trushine window cleaning. I started cleaning windows and gutters while I was in college, and I never thought that after graduating from the University of Houston, 4 years later I would still be in business! Window and gutter Cleaning may be messy, but It is a blessing to wake up every day and work outdoors, And I love meeting so many new people. We started up in February of 2014, and we’ve been on an epic ride ever since, and when I am not running the business, my team of professionals are ready to answer any of your questions at any time. 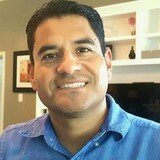 From our beginnings as a window cleaning company until this very moment, we’ve tried to stay true to our core beliefs, and to deliver an exceptional experience for our community and clients in Greater Houston Area. We owe a huge thanks to our community for joining us on this awesome journey, and we hope that you’ll continue to be a part of our story. We at Geek Window Cleaning believe that what separates us from the competition is how well we clean the glass, our punctuality, our pricing, and how professional our employees are to the people walking in and out of your home and to you. We strive to satisfy each and every customer. Since we are a small business in the Houston area most of our business comes from referrals and repeat customers. Window Gang of Houston, TX offers a wide variety of residential and commercial services to ensure your home or office looks as beautiful as new. Backed by an established household brand, our trained professionals provide “Service Beyond Your Expectations” ensuring complete satisfaction to all home and business owners throughout Houston, TX and surrounding areas. We are your local, professional experts for window cleaning, gutter cleaning, pressure washing, low pressure chemical washing, deck/fence restoration, roof washing, house washing, dryer vent cleaning, chimney sweeping, oil remediation, no slips floor, blind cleaning and much more. Your local Window Gang is fully insured and bonded with general liability insurance and carries workers compensation on all employees. Our uniformed technicians are extensively trained in all exterior cleaning processes and procedures. We use environmentally friendly cleaning solutions and follow all OSHA and EPA guidelines to keep our environment and community clean and safe. We realize your time is important and making time for friends, family and activities you love just got easier. Sit back, relax and trust Window Gang of Houston, TX to handle all of your residential and commercial exterior cleaning projects.